Orlando, Florida – May 11, 2017 –Winshuttle is excited to announce Co-Founder and CTO Vikram Chalana will release his new book “Application Data Management – Empower Business Teams to Get Data Right” next week at SAP’s biggest event of the year, SAPPHIRE NOW. 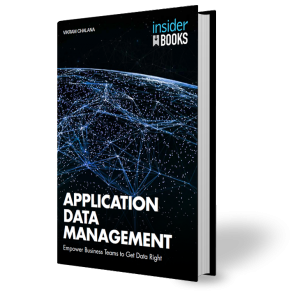 With guest authors from ASUG, DATUM, and CPS among others, preface by Gartner Analyst Andrew White and over 10 real-world use cases from notable brands, this book provides the guidelines organizations need to use application data management to accelerate their digital transformation journey. The book will be available online through Insiderbooks, and at SAPPHIRE NOW. Conference goers can stop by the Winshuttle booth #847 to pick up a book and attend the book signingWednesday, May 17th at 2:30 PM and Thursday, May 18th at 10:30 AM and meet the author and guest authors.